Indulge your inner mad scientist with this one of a kind, hands-on science museum in Columbus. 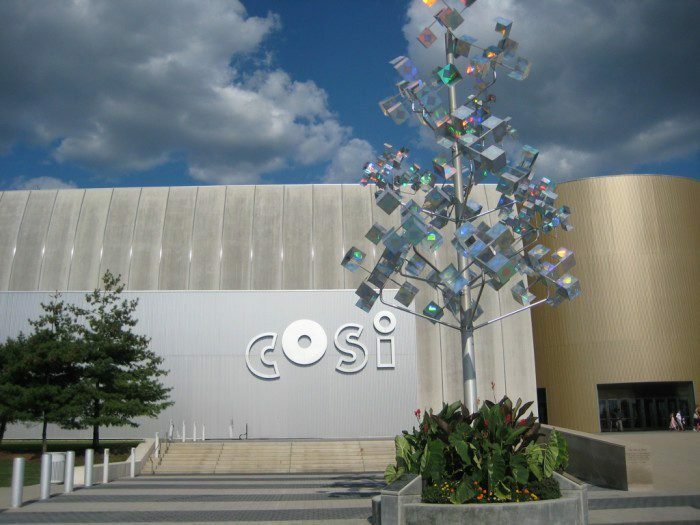 In 2008, Parents Magazine named COSI the #1 science museum for families in America. With constantly updated exhibits, it's tons of fun for both kids and adults alike. COSI is located at 333 W Broad St., Columbus, OH 43215. 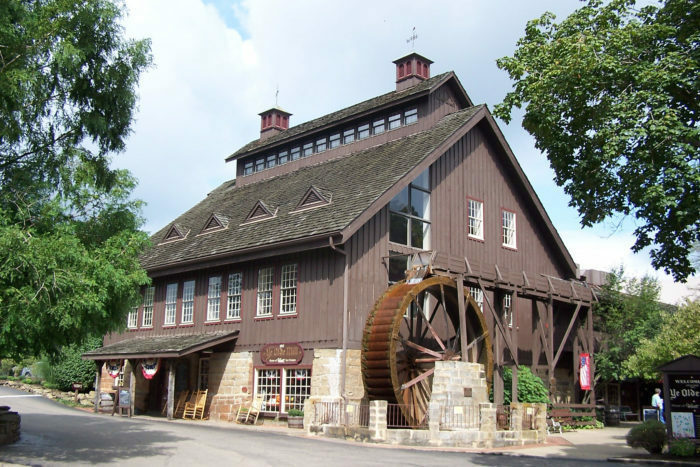 There’s no place quite like the Ye Olde Mill in Utica—where you can see how Velvet Ice Cream is made, take a free tour of the mill and try delicious flavors of ice cream you won’t find anywhere else. It is located at 11324 Mt Vernon Rd., Utica, OH 43080. Most people don’t know there’s an impressive replica of an Old West town tucked away in the hills of southern Ohio. 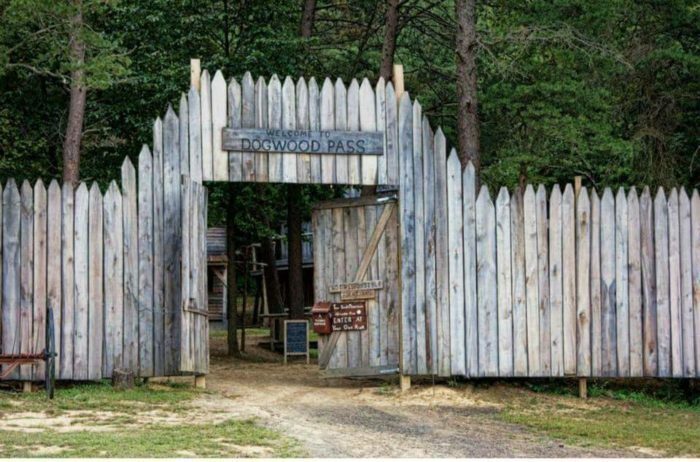 Dogwood Pass near Beaver, Ohio was built to look and feel as authentic as possible, complete with bath houses, saloons and gun fights. Step back in time into the Old West at this unique town that’s anything but ordinary. You'll find it at 722 Adams Rd., Beaver, OH 45613. 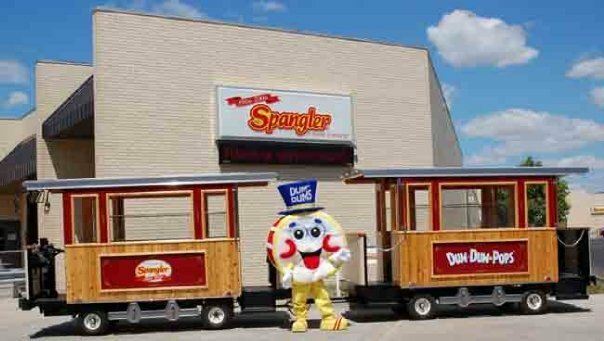 Tucked away in northwest Ohio in the small town of Bryan, you’ll find the Spangler Candy Company. 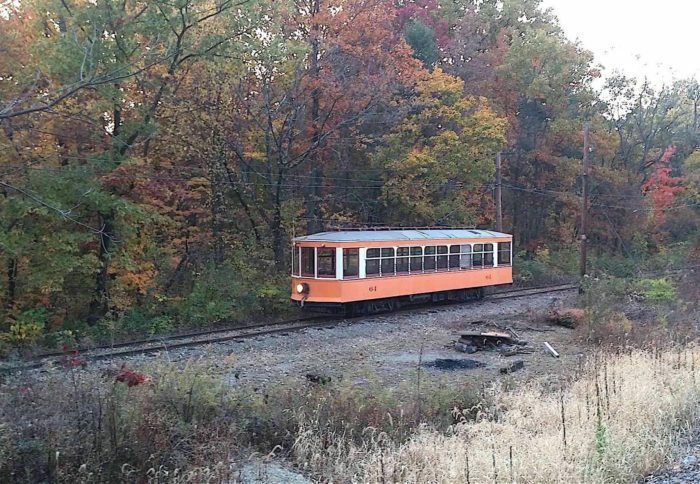 It’s a privately-owned candy store, museum and factory you can tour via trolley on select days of the week. (On average, the factory produces 12 million Dum Dums per day!) You'll find it at400 N Portland St. in Bryan, Ohio. 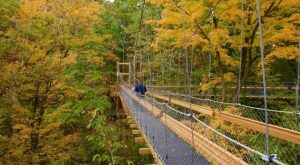 Although Ohio is full of several impressive zoos, The Wilds in Cumberland offer a unique way to observe exotic animals. 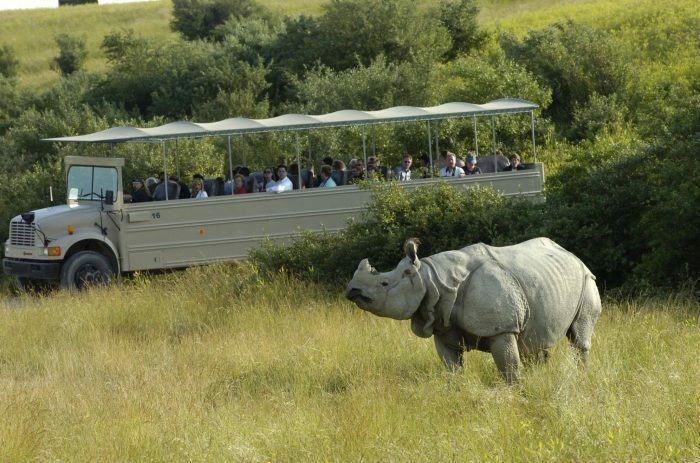 Depending on the tour option you choose, you can get an up-close encounter with the animals or board a Safari Transport so you can observe them (from a safe distance) roam freely while learning all about the rare and endangered species the facility conserves. You'll find The Wilds at 14000 International Rd., Cumberland, OH 43732. 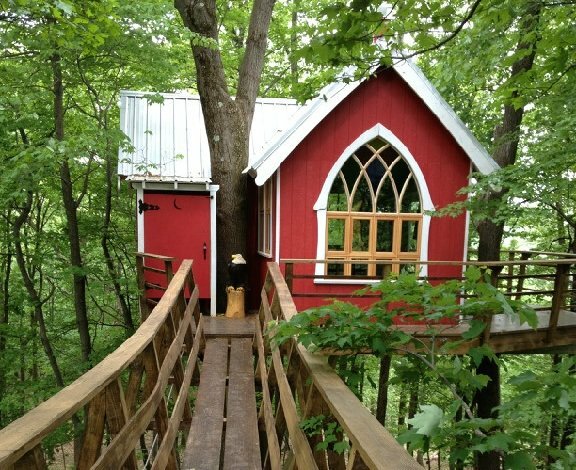 If you’ve ever longed for a medieval experience (complete with many of the comforts of home,) you’ll definitely want to check out Ravenwood Castle. 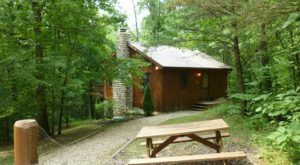 This lovely little inn is tucked away in the scenic Hocking Hills in New Plymouth. 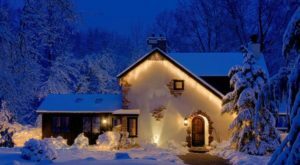 Stay in the castle itself, or out back in the Huntsman's Hollow, Medieval Village Cottages or Gypsy Wagons. 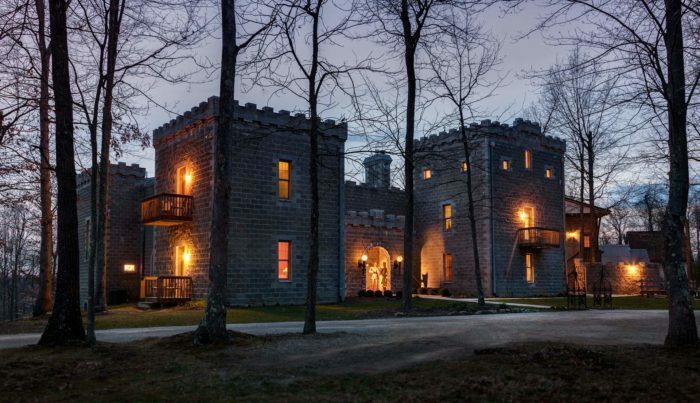 Ravenwood Castle is located at 65666 Bethel Rd., New Plymouth, OH 45654. 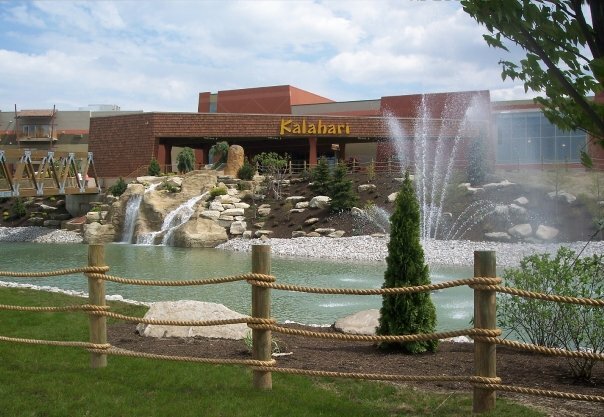 Kalahari Resorts and Conventions features a massive indoor waterpark that friends and family members of all ages can enjoy. It’s a truly epic waterpark everyone in Ohio needs to experience at least once. It covers more than 170,000 sq. ft., making it America's largest indoor water park. You'll find it at 7000 Kalahari Drive, Sandusky, OH 44870. 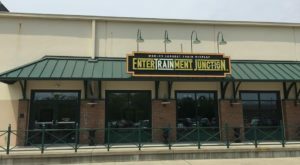 If you've yet to check out this gem, you need to take a weekend to visit to the Ohio Railway Museum in Worthington, Ohio. It’s a train station, museum and railroad that offers fun, round-trip demonstration rides on some of the streetcars and interurbans. 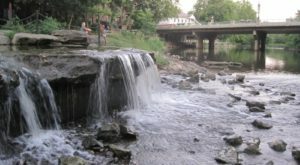 It's located at 990 Proprietors Rd., Worthington, OH 43085. Tucked away in the charming small town of Yellow Spings, you’ll find Young’s Jersey Dairy—and it’s so much more than a dairy farm. 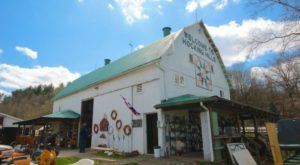 While the freshly made ice cream and mouthwatering cheese curds will certainly entice you to check it out, it’s all the other fun things you can do at Young’s Jersey Dairy that will make you stay awhile. 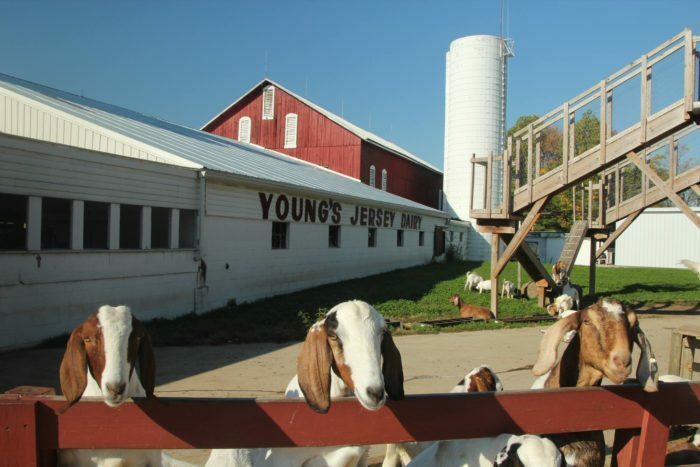 Young’s Jersey Dairy is located at 6880 Springfield-Xenia Rd., Yellow Springs, OH 45387. 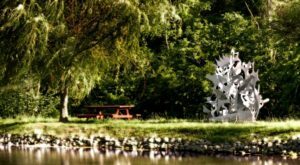 Deemed "the largest fully accessible playground park in Northeast Ohio," this family favorite park is accessible to children of all needs and abilities, and features several designated age group areas, a play theater, an "Imagination Village" and a sand area. You'll find it at 26001 S Woodland Rd., Beachwood, OH 44122. With an inventory of more than 4,500 different items valued at $2,000,000, you really won't find a better candy selection than at b.a. Sweetie Candy Company. It's the largest candy store in the country—and it's right here in the Buckeye State. This massive candy warehouse keeps an average of 500,000 pounds of candy in stock. Any type of candy you could ever want or imagine is here. You'll find it at 6770 Brookpark Road, Cleveland, OH 44129. Few people know that the largest indoor adventure park in the nation is hiding right here in Ohio. 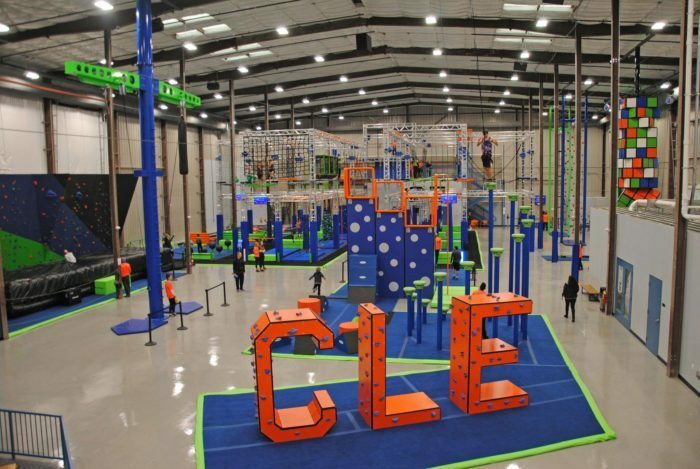 Play: CLE in Avon, Ohio features some of the most epic playground equipment, obstacle courses, zip lining and more. You'll find it at 38525 Chester Rd., Avon, OH 44011. 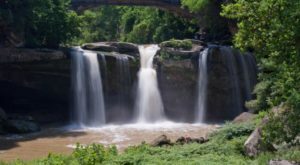 Have you been to any of these places before? What others would you add to this list? Let us know!